Valuable and rare books are held in Special Collections where they receive more care and protection than is available in the open stacks. Books in this collection focus on rare, limited, and fine editions of northeastern California. Contemporary fine printing is also represented by such presses as the Yolla Bolly Press, the Grabhorn Press, and the Arion Press. The Alfred Storm Bible Collection includes a Biblia Latina, printed by Johann Froben in 1498, and a Baskerville Bible, printed in 1769. 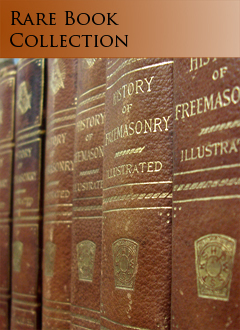 Acquisitions to this unique collection are primarily through gifts from the Friends of the Meriam Library and private individuals.